Our NSW Pro Jersey Alternate turns the Blues team colours on their head for a striking new look. Get yours now from Canterbury and stand out from the Origin crowd. 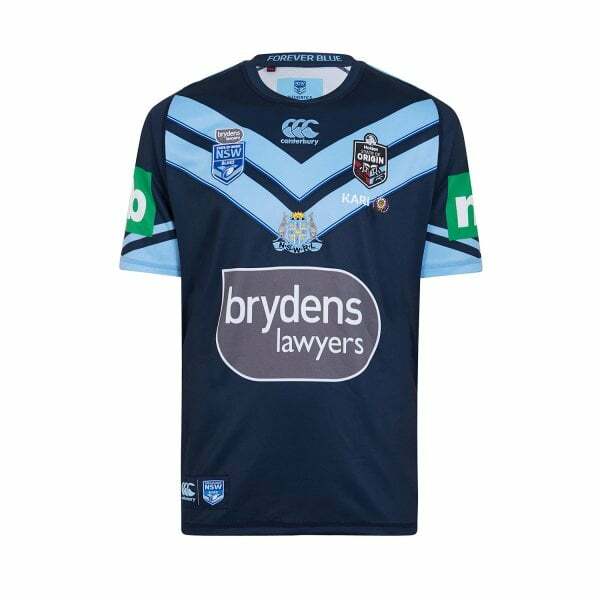 Get behind the Blues this State of Origin season in a Pro Jersey Alternate from Canterbury’s NSW On Field collection. This dynamic jersey stays in keeping with the team colours with a reverse combination, making for a striking design alternative. As with the Pro Jersey, it features our famous VapoDri moisture wicking fabric technology and is made from 100% Polyester for breathability and strength. It also has stretch tape on the inside of the collar for extra comfort and tape and bartacks on the outside for added strength. The team and sponsor logos on the chest complete the picture of a cool, calm and collected NSW supporter.